Spelling was never my strength and debate remains as to how to spell these circular wonders of dough with the hole in the center. Spell them as you please, there is no debate in our home about enjoying homemade, baked donuts. 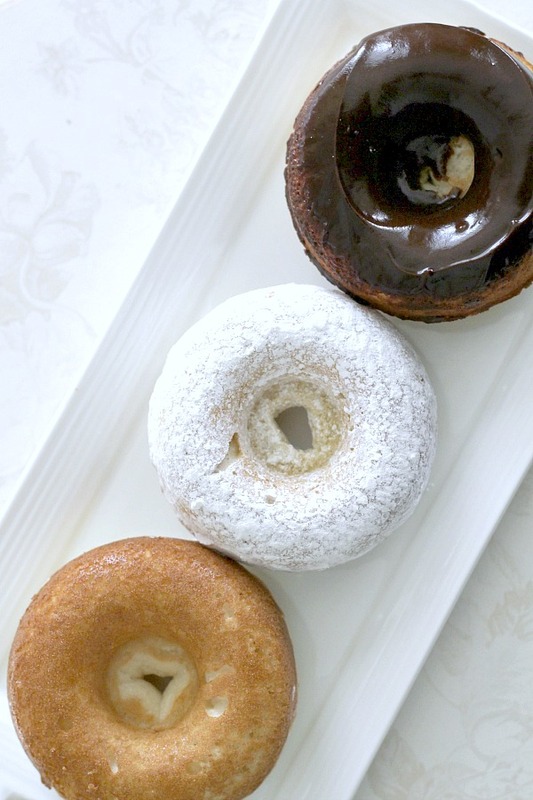 The only decision is whether to choose frosted, rolled in cinnamon sugar, confectioners sugar or a perfectly plain doughnut. The Official Dictionary Spelling of the word in question is “doughnut.” The expedited, simplified, Americanized spelling of “donut,” has been around since at least the late 19th century. So, why the change? Dunkin’ Donuts seems to be responsible. The Massachusetts-based chain may be the reason for the popularity of the “Donut” spelling. Which spelling is correct? Apparently, both. 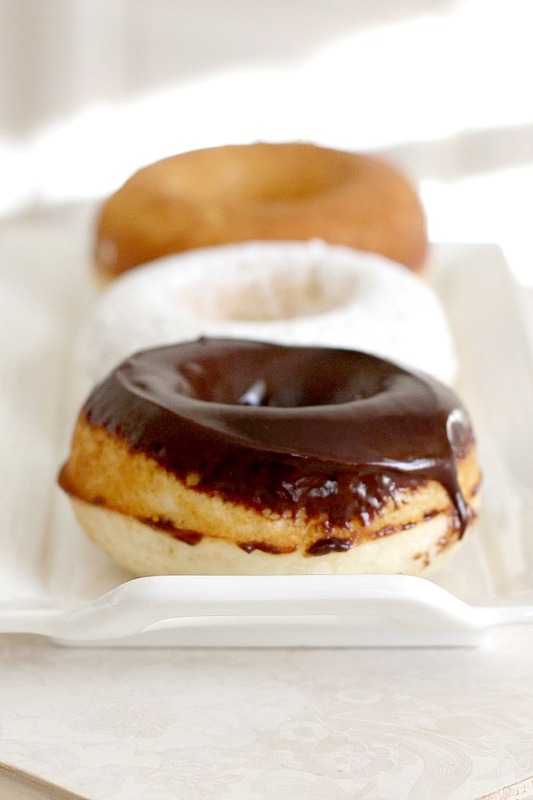 Doughnut is preferred by style guides and dictionaries, but donut has become an acceptable substitute. A search on the internet shows the trending spelling for this integral part of American culture, is “donut’. 1. Preheat oven to 425°F. Spray the 6-cavity donut pan with nonstick cooking spray. 2. Sift together cake flour, sugar, baking powder, nutmeg, and salt in a large mixing bowl. Whisk in buttermilk, eggs, and butter and beat until just combined. Fill each donut cup until about 2/3 full. 3. Bake 7-9 minutes, or until the top of the donuts spring back when touched. Cool in pan for about 4-5 minutes before removing from pan. Complete donuts with either a dusting of powdered sugar, glaze, or cinnamon-sugar topping. Best served fresh on the same day. In a shallow bowl or plate, stir together the sugar and cinnamon. Dip the baked doughnut in melted butter (I used a pastry brush to apply the butter so I could get a lighter coverage) and roll in the mixture to coat. In medium bowl, microwave chocolate chips, butter and corn syrup on 50% power for 1 minute, stirring frequently until completely melted. Stir in1 tsp. hot water, until the glaze is thick and smooth. Add another tsp. hot water if the glaze is too thick. Use immediately to glaze doughnuts. Put 2/3 cup of confectioners’ Sugar in a resealable plastic bag. Add a doughnut, close the bag, and shake to coat. Repeat with remaining doughnuts. 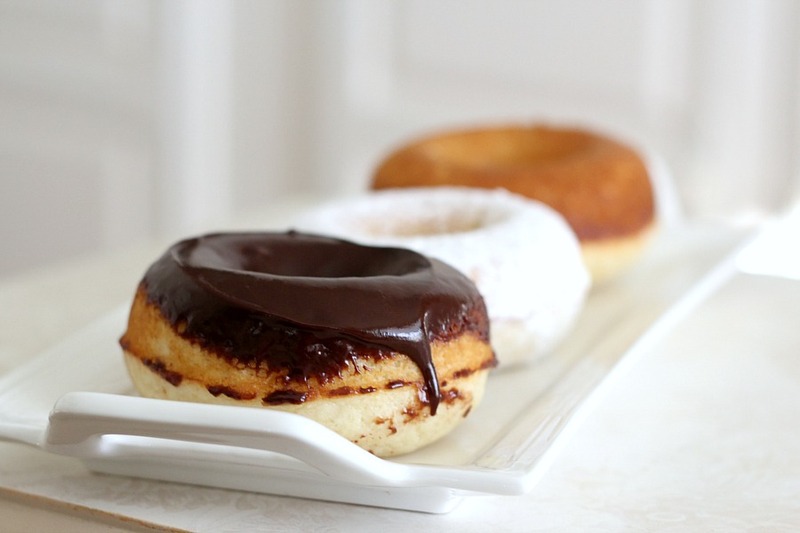 Slice plain, cinnamon or confectioners sugar doughnut in half. Lightly butter and toast until golden brown. Top with cinnamon sugar. I especially love the slightly crispy edges! NOTES: Baked doughnuts are not like traditional doughnuts that you would get from your favorite bakery. These are not like the light, cruller kind made with yeast. I prefer a cake-like doughnut and these are similar to that type. We really liked the Wilton recipe and though I don’t know the calories, I think they must be a little less unhealthy than fried doughnuts. Gotta love that 40% off coupon. that's how I ended up with my giant cupcake pan. Love it! Thanks for posting the recipe that came with the pan. I might give it a try. Your cider recipe though sounds devine. I experimented with my mini donut pan using a cookie recipe. They were great day of and day after. Those look good! I hope you don't mind, but I pinned them. Your newest follower! This is a very interesting post and I'll copy the recipe and get out to buy one of those doughnut pans.. have a 40% off coupon…. I'm a doughnut lover!! Yummy!! Would love for you to stop by DIY Home Sweet Home and link up to More the Merrier Monday. I did a post on that pan too! I used my 40 off. You have put yours to good use. I have only used mine once for the ones I posted. You've inspired me to pull it out again! Your baked donuts sure look good – especially the opening shot. I guess I'm just a sucker for the traditional deep-fried version, but I do agree the donut pans are cute. I've been tempted to get one myself. Why do you do this to me? 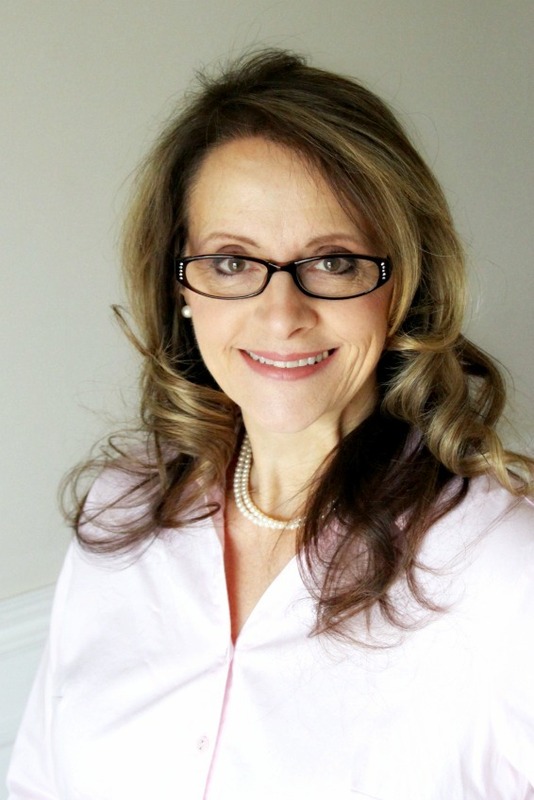 Here I am on a beautiful, late Friday afternoon, and I decide to pay a quick visit to your blog. 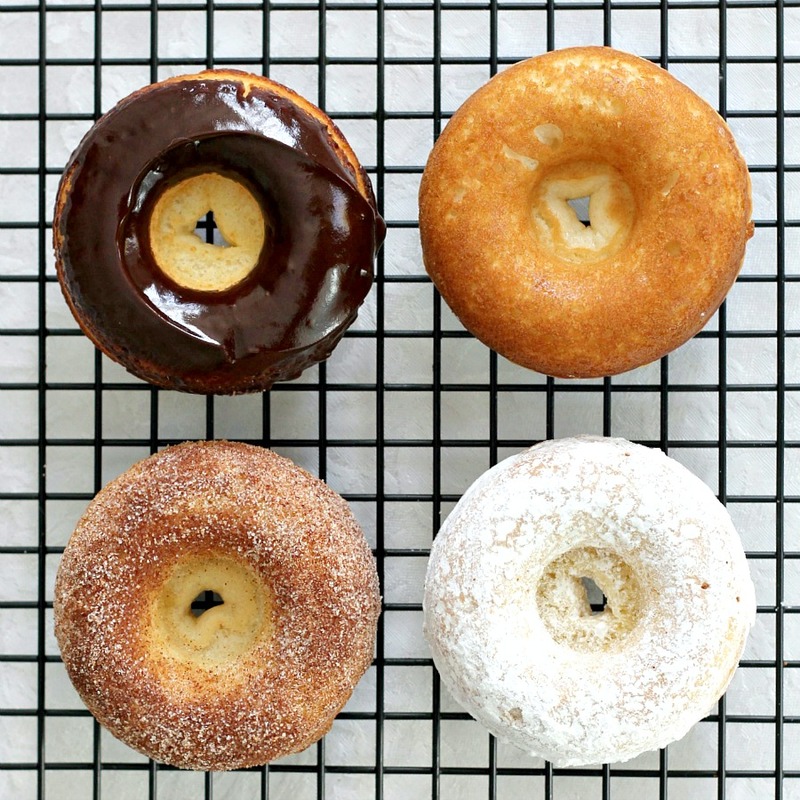 Well, these baked doughnuts sure do look mighty good. They surely must be much better than fried doughnuts, right??? Your little sweetheart on the last post just melted my heart today. You can easily tell that she is your granddaughter. You made these? Wow! You are amazing! They look totally delicious and your photography is outstanding! 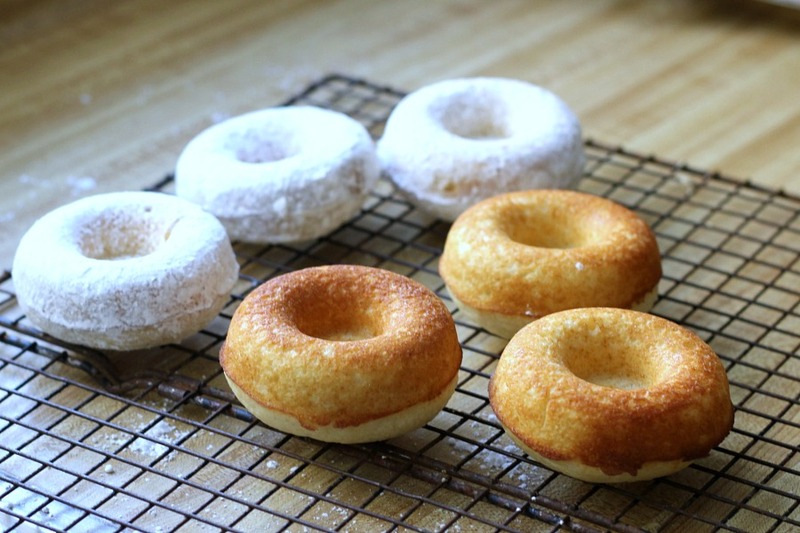 I've never made donuts of any kind, but baked…well, that gives me the incentive to try. I just hope I can resist eating them all. I was hoping that you would say this was a fantastic recipe for baked donuts. I had the same experience when I bought my pan, we just wasn't impressed with the results. Oh my goodness…. delicious baked goodness! Love. Way to go! Your doughnuts look delicious. I'm sorry you weren't happy with your pumpkin ones, but sometimes we have a few misses with our hits when it comes to new recipes! Oh what a gorgeous and yummy looking post today. I love the sugar cinnamon ones. Now was this a 40% Michael's coupon or where did you find this pan? I would love to get one. Baking these doughnuts has to be far better for one than frying them, and oh how wonderful they look. I can't wait to see what you Bible Study gals think. Especially this baked cider recipe. Does that ever sound yummy. What a joy to visit. I either feel hungry or ponder about the people in the pictures and the happiness the animals bring to your life. Lorraine, the first photo in this post is incredible – it made me want me grab those doughnuts out of my screen the moment I saw them!!! ive held of making doughnuts for so long coz i didn't want to deep fry in my kitchen, but now I have a reason to finally make them 🙂 thanks for sharing this recipe!! So I guess buying the pan was a good investment! I'm not much of a baker, but this intrigues me. I may have to us my 40% off coupon on one of these. Thanks for the inspiration! Wow I didn't know you could make baked donuts! How cool. 🙂 I must try this. I hadn't ever heard of *toasting* a dough-nut but I bet it tastes yummy! Thank you dear friend for stopping by and visiting :o) Have a blessed, blessed week! I've been wanting (not needing!!!) one of these donut pans, too!! Yours look so yummy!!!!!! Besides, I think the grandkids would love them. Does it sound like I'm trying to convince myself??? Baked donuts, now there's an idea. And they look so delicious too! 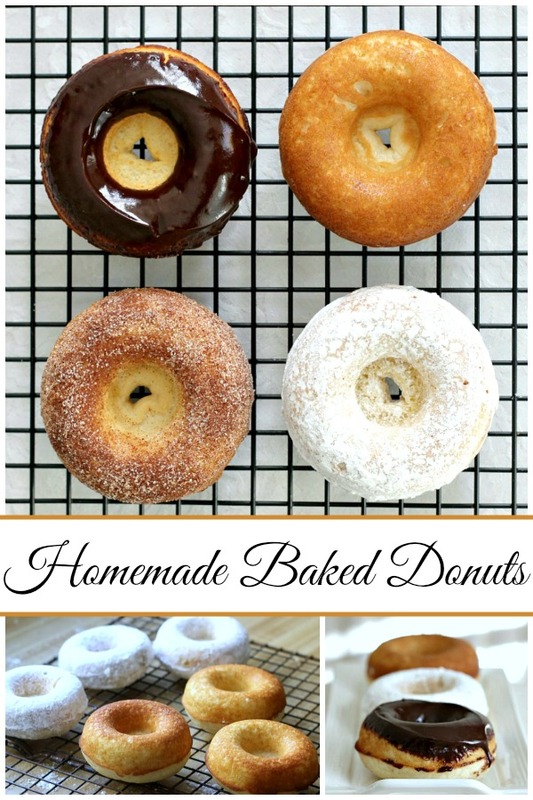 I love all these baked donut recipes!! They look fantastic and I recently purchased a Wilton donut pan. Thanks for sharing! Oh my goodness, these look wonderful! I'm going to have to try them. Thanks for the recipe! Those look fabulous! AND I love cake donuts also! Thanks for sharing! I am not a big doughnut fan but these look quite scrumptious! These look wonderful, what a fun treat to serve. I love donuts but have never tried making any myself. Oh, the calories! However, baked does sound better. I am with John–nothing like those chocolate ones! Absolutely awesome!! Can't wait to try these. 🙂 Thank you! Good morning…Oh wow, I have been eyeing those pans too and thinking I must resist…baked IS much better than fried, and this sounds like a wonderful recipe…if my boys still lived at home this would be a regular event…maybe when they come to visit?? haha Have a wonderful day! They look delish, and being baked, they are almost guilt free. Thanks for the recipe. They look great! I, too have wondered about that pan! 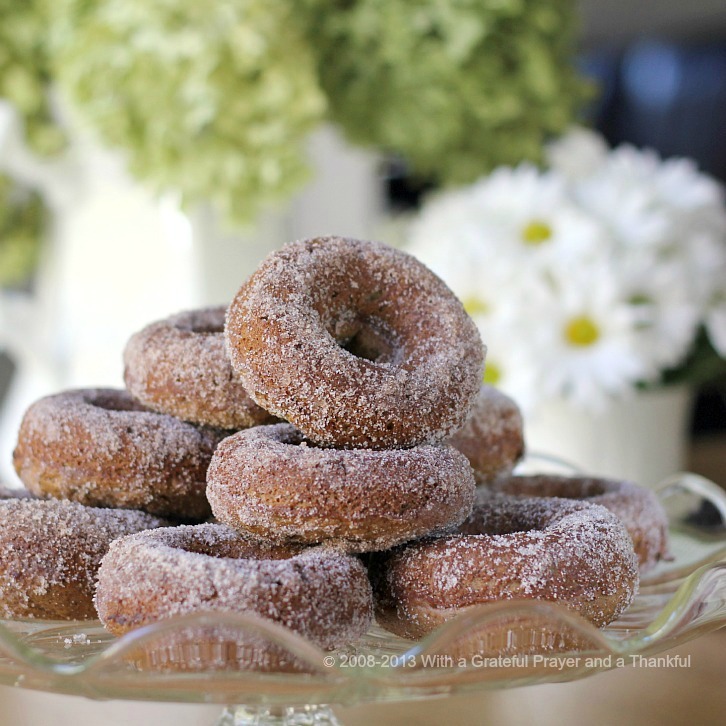 Can't wait to hear about the Cider donuts, as I've tried and tried, but just can't get them right! Could you post a tutorial/recipe on the fried ones? I'm perfecting an apple cider milkshake recipe with my leftover cider reduction! They look fantastic, I wouldn't know what to choose first. These look amazing, and being baked instead of fried is such a plus! Gorgeous photos, too! And to think that I had Shredded Wheat for breakfast!!! These look fabulous. I've never heard of baked donuts. Hope you have a wonderful day. Keep us posted about tonight's donuts!